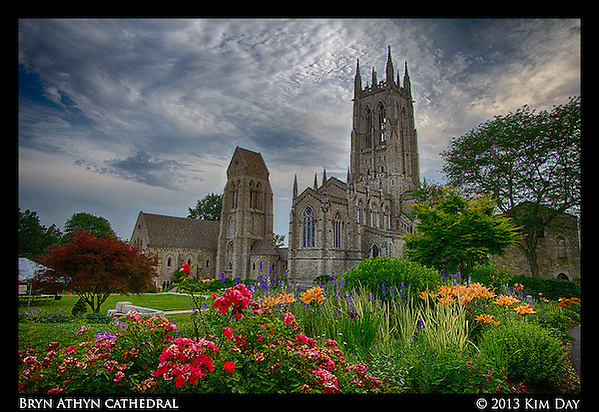 On a sultry June evening, I ventured out to Bryn Athyn Cathedral for a sunset shoot. After a long day of telephone interviews with autism caregivers (and a long couple of weeks of work), I desperately needed to use the creative side of my brain for a few hours. With storm clouds looming on the horizon, I wandered through the grounds, camera and tripod in hand through the Golden hour right up through the end of the Blue hour. 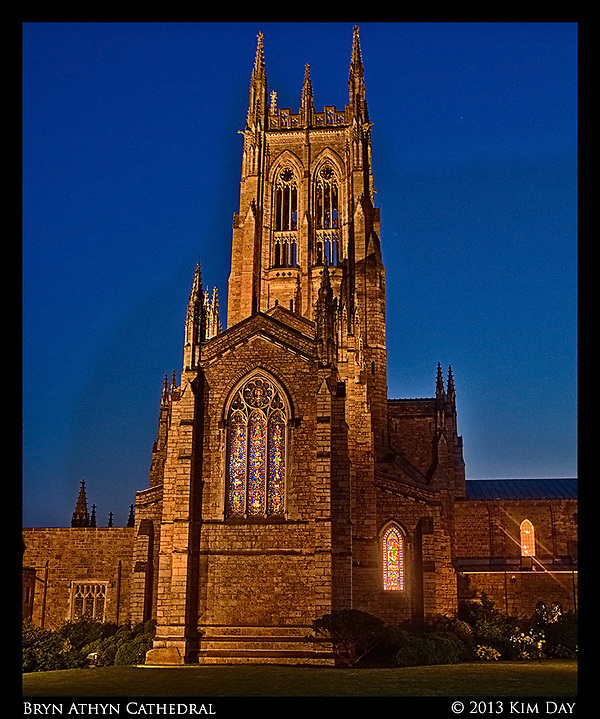 My photography group was lucky enough to have the Cathedral turn on the outside lights as it got dark to allow us to capture the cathedral glow. Below is the first set of images from tonight. 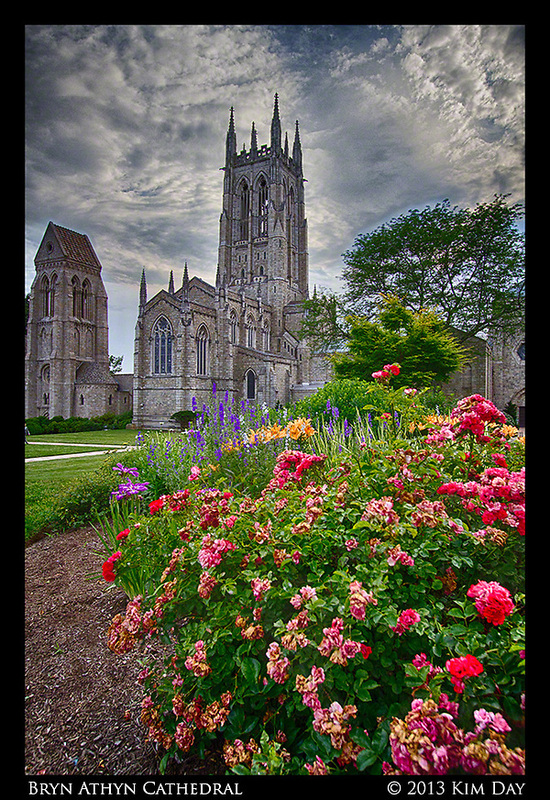 This entry was posted on Tuesday, June 25th, 2013 at 1:27 AM. 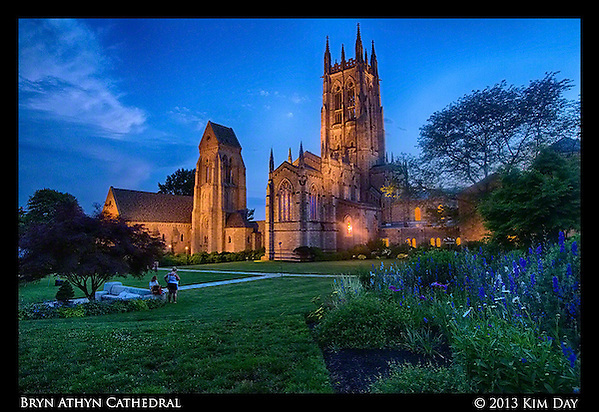 It is filed under Globetrotting: Near and Far, Philadelphia, US and tagged with Blue Hour, Bryn Athyn Cathedral, HDR, PA. You can follow any responses to this entry through the RSS 2.0 feed. It’s interesting how in the first two pics the flowers (salvias???) seem to be echoed in the tall windows of the cathedral. Beautiful Kim! I really like the last one.